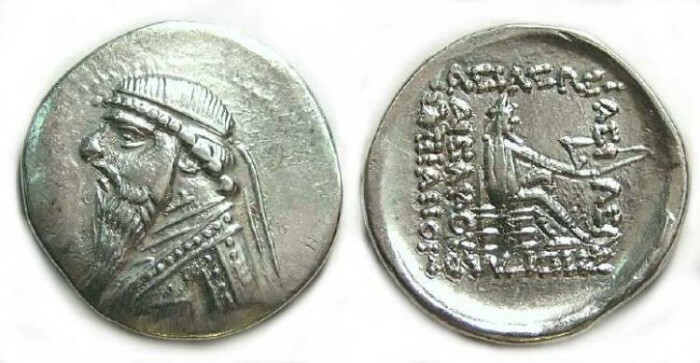 Parthia, Mithradates II, 123-88 BC. Size : 20.3 x 21.2 mm. Weight : 4.17 grams. Obverse : Head of Mithradates II left. Reverse : Archer seated right on an throne, holding a bow, with a Greek inscription around.